ItemG-00851 - "Kootenay Cigar Factory, Nelson, BC". ItemB-03119 - The yacht Ariadne near Victoria; built by William Fitzherbert Bullen. ItemB-04325 - Central School, Victoria. 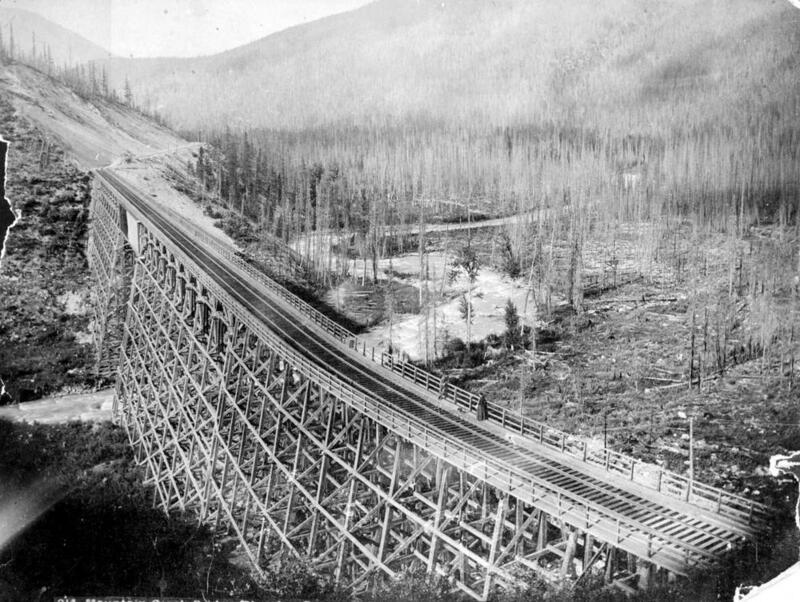 ItemB-04125 - "Mountain Creek Bridge, showing Beaver Valley, Summit of Selkirks, BC." ItemB-04092 - "Courthouse and Government Agency, New Westminster." Item B-04125 - "Mountain Creek Bridge, showing Beaver Valley, Summit of Selkirks, BC."